Recently Riots released a very usefull tool that can help you to enhance your gameplay – Practice TOOL. You can access this new tool through new client, then change your game type to Training and then your practice match will start. This mode has a huge variety of testing options, i will highlight all of them in this article. Lvl 1 last hitting. – Early game is almost the most important part of the game, and the success of this phase is almost always is determined by your creep score (cs). Always use this training mode when you need to get used to the new champion, his base attack damage, and attack animation. Jungle practice. – If you love to play as jungler, then you need to know all perfect timings and item buildes, you could try all buildes to find a perfect one for yourself. After using this mode you can perfectly predict when you are ready to perform gank. Infinitive gold = Infinitive opportunities. You can experiment with all. Doubt that you can kill the dragon solo with certain item build? Not a problem anymore, just start a practice tool, and try it out! Map familiarity. Check for a best places for a wards, wall flashes, or look at all these gank routes that you, or your opponent can use. If you think that you know all about LoL, and you don’t need this mode, then you are terribly wrong. 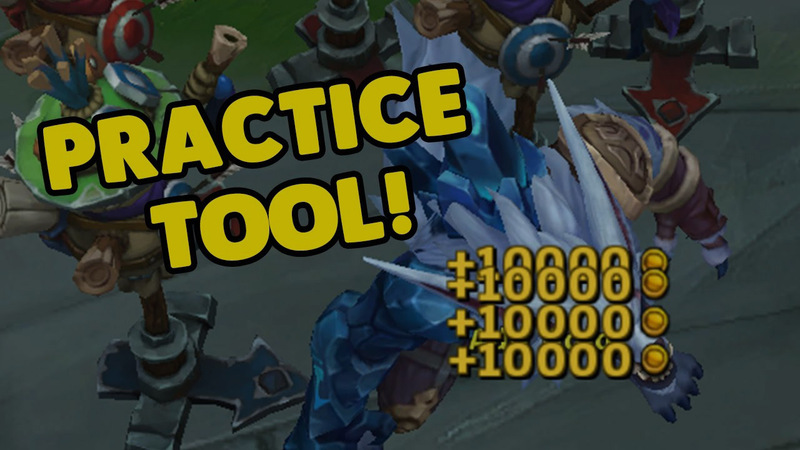 Practice Tool will be usefull for EVERYONE, from Diamon to Master. You can test all reworked mechanics, check new champions, take a look how Rumble’s ulti works. Riot give to us a really helpful instrument, and don’t be too lazy or self-confidence about using it. 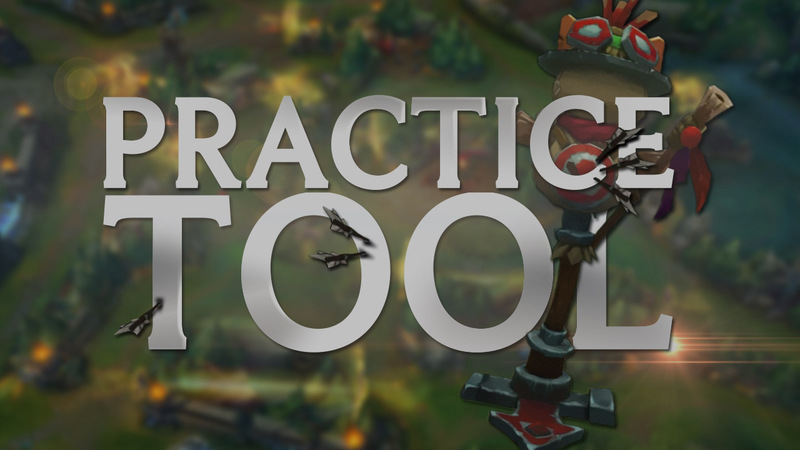 Practice Tool has a great variety of very usefull commands, and Riots said that they will add even more in future. First of all they added those commands that will help all players to learn basics of LoL. They always listens to fans and will add new features as necessary, so if League will throw some unique mechanic at your, then you will be ready. Auto-refresh cooldowns. – After using any ability cooldown will be ignored completely, and you can use it again without any delay. Auto-refresh HP. – Your healt regeneration will be so high that all races in the Runeterra will be jealous. Auto-refresh mana (energy, rage, etc). – Same as HP regen, just spam you abilities without bothering about your mana pool. These 3 command allows you to get used to timings of specific abilities without running to the base to regen your hp / mana / energy. Add gold. – 1 click and 10.000 gold is yours. Dream button of all ADC. Level up. – Instantly give a level to your champion. Simple commands that you need to test various skill and item buildes. Lock level (locks your current EXP level). – this button will force you to stay at the same level, even if you have enough exp to level up. If you ever want to train your Creep Score, then you need to use this command to lock yourself at 1 level, and then just go to the line. Teleport to cursor. – Why run if you can be anywhere anytime? Revive. – I really don’t know why you need this button. How can you die in practice tool, where you can do anything? Situationals commands, but they can help you to test your burst damage on enemy champions, and quickly get him back, as soon as he dies. Disable/enable turret fire – Tower will not shoot at anyone. Disable/enable minions – If minions somehow disturb you, just turn them off. Fast forward game time 30sec. – Allows you to predict where minions will be 30 sec after. Or just look if they can manage to destroy tier 1 Turret in 30 sec and you don’t want to wait. Reset game. – If you messed up you game, then you can fix everything with just 1 click. Great commands that will allow you to check timings of how fast you can get to the various points on the map. Spawn enemy target dummy – Great tool if you want to watch your burst damage, because it is indestructible. Spawn allied target dummy – Great tool to … eeh… train your shielding skills? Maybee. Remove all spawned target dummies. – Removes all these little Teemo on a stick from entire map. Enemy dummies are extremely usefull. Just place them in all gank routes on the map, while you get used to the map familiarity. Look from what positions you can clearly see them, and where you need to place wards and try to remember every possible position. Great for every beginner jungler. Try all item buildes that you can (you have infinity gold), try to kill Dragon solo at every level (you can level up your champion with a simple command) with any existing build, without waiting for their spawn. Enable turrets invulnerable, because minions will destroy it sooner or later. Lock your level 1, you do not want to re-create game every time when you get second level, doesn’t you? Buy all items for a early lining stage and run to preferable line (or just teleport there, just because you can). Fast forward game to 90 sec, when minions starts to spaw. Kill minions untill you think that you are ready for a real game, but remember that any enemy will harras you, and real game will be much harder! Buy any jungler item build you want, and rise your level if you want. Teleport right to the minions camp, or to the Dragon. Or run if you want, your choice. Practice every thing you want! Reset game if you want to try something else, for example to kill dragon on lower levels with another items. All these command are incredible and allows to save so much of your time. Many peoples are waiting for this tool for so long, and it is nice to see that this tool work exactly how it need. I think that ANYONE who ever played LoL will find something interesting here, whether it be testing new builds, or training last hitting without being harrased by the enemy. But i think that they need a command that allows you to add bots of various difficulty. It will be much usefull to train with a strong opponent. Also i think that soon we will see more interesting videos of in game mechanics, because it much easier to create them in world where you can do just anything with game. At last! They added training mode, i hope everyone will check it at leat once! I am crying whenever I see a noob in my game. Why they don’t use this practice tool??? WHYYYYY??? Good Guys Riots spent a lot of time creating an instrument to help them, and they just ignore ’em. I ASK THE GOD, THAT ALL LOL BEGINNERS WILL USE A PRACTISE TOOL BEFORE LAUNCHING A NORMAL GAME!!!!!!!!! Practice tool is so valuable source of information. You can instantly check anything you want in a real time.